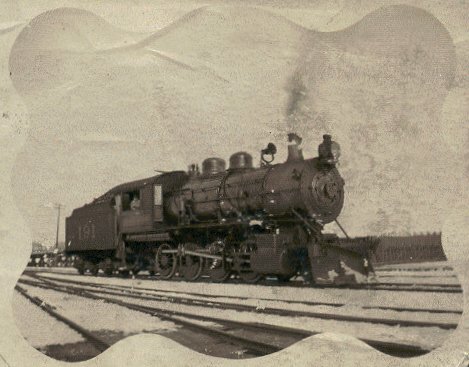 Nancy relates that she purchased an old photo album in Chassel some time ago and was interested in the photos of the railroads it contained and wanted to share them. Thank you for passing them along as they are wonderful photos and also very rare. 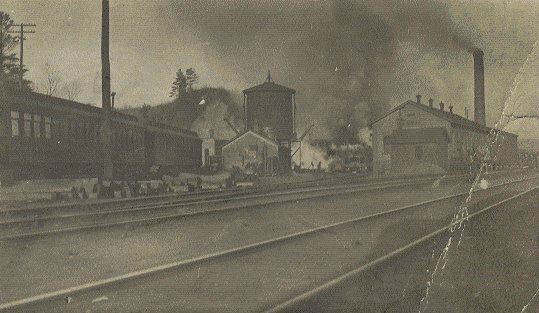 A very rare photo of either Copper Range box #150 or #118 (painted for Schurermann's Brewery) and what appears to be Copper Range #1 or #3 a 0-6-0. 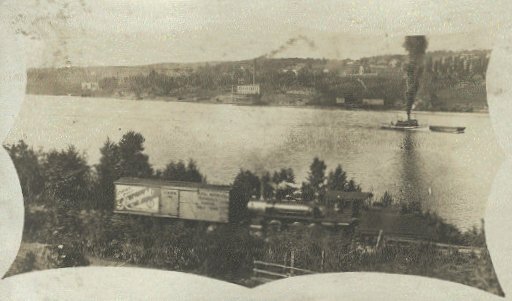 Taken on the spur from the yard to the brewery on Portage Canal. 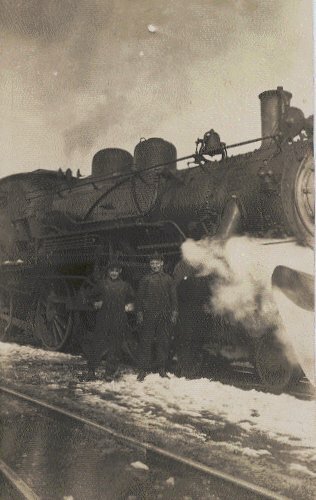 Mineral Range RR #191, 2-8-0 (Location unknown) Built by Rogers, 1902, C/n 5698, 22x30 cylinders, 55 inch drivers, 109 tons, TE: 42,636 lbs. 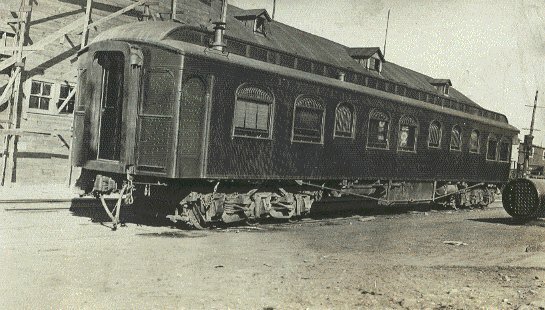 Freight service, F class, sold to the Paper Calmenson Co. for scrap in Jun. or Jul. 1933. 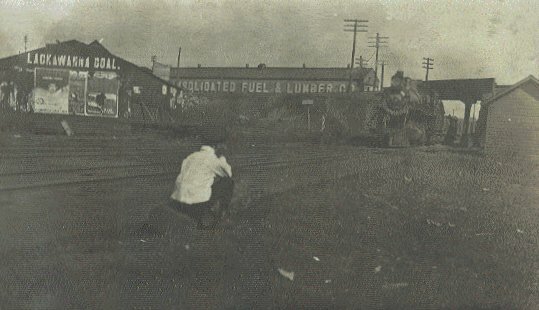 Mineral Range/DSS&A train running under the C&H trestle in Calumet, approaching the station.